The Gala apple has a royal heritage. Though foreign born, it grows very well in Virginia, which enjoys a royal heritage also. 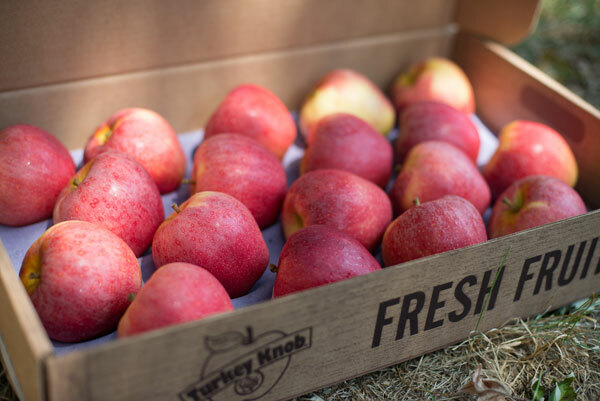 Gala is a cross of Kidd's Orange Red and Golden Delicious, developed in New Zealand in 1934 by J. Hutton Kidd. 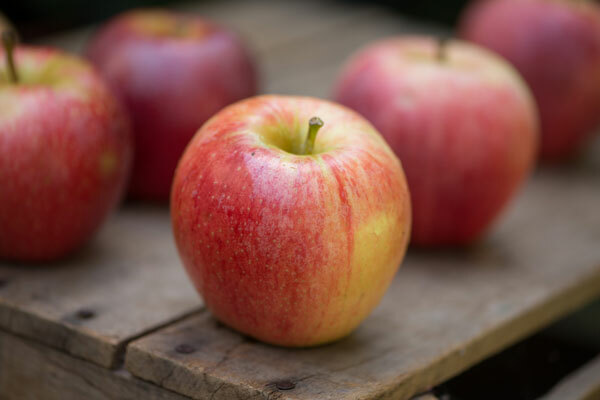 This honey-flavored apple is small in size with creamy rose colored skin. 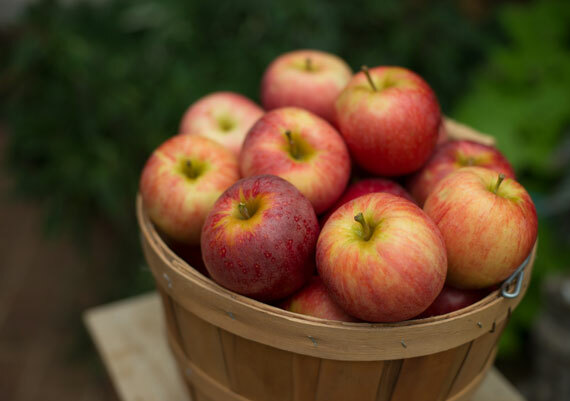 A strain of Gala was named "Royal Gala" after the apple was given to Queen Elizabeth II. She was so impressed with the apple, she ordered more. The Queen of Holland visited an orchard growing gala apples in 1971 and was impressed by their flavor. The Gala is an early apple, ripening in mid to late August. Galas are best eaten fresh. Refrigerate Gala as you would a peach.